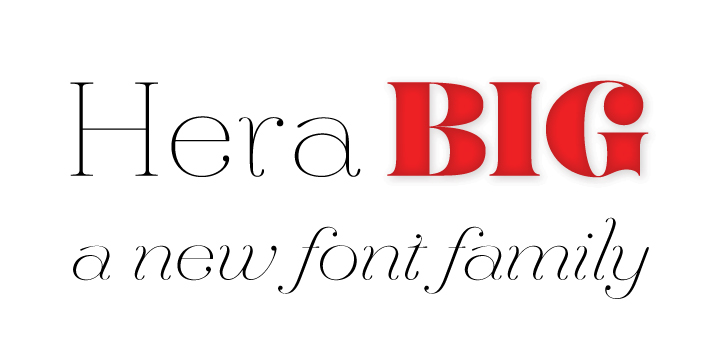 Hera Big is an archtypal type family available in eight weights & 16 fonts. The family explores the motion and variability of the ball serif, in a progression that varies from its preceding uniqueness as a complement to the slab serif. Hera can be referred to as a brand new blend of innovation and pure form that has never compromised on function for beauty.